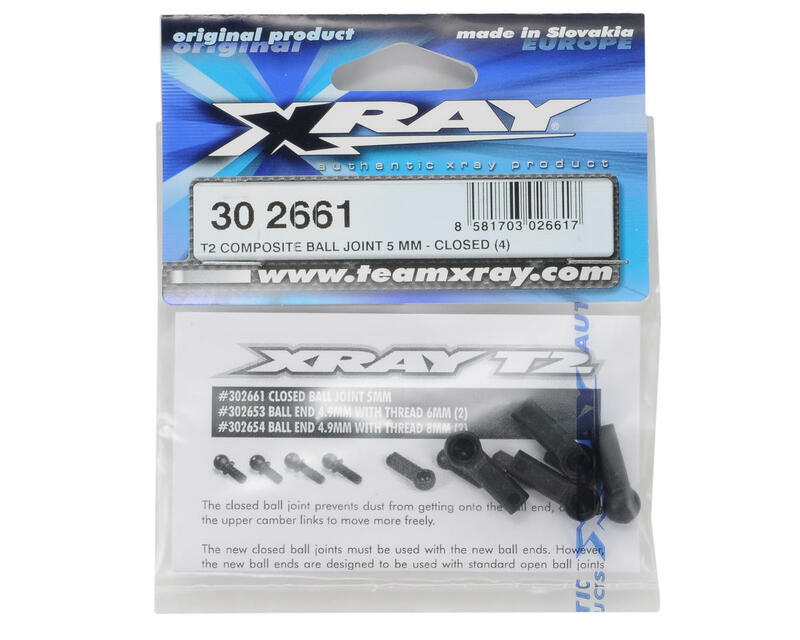 This is a set of four optional XRAY 5mm Composite Closed End Ball Joints, and are intended for use with the XRAY T2 family of vehicles. The closed ball joint prevents dust from getting onto the ball end, allowing the upper camber links to move more freely. 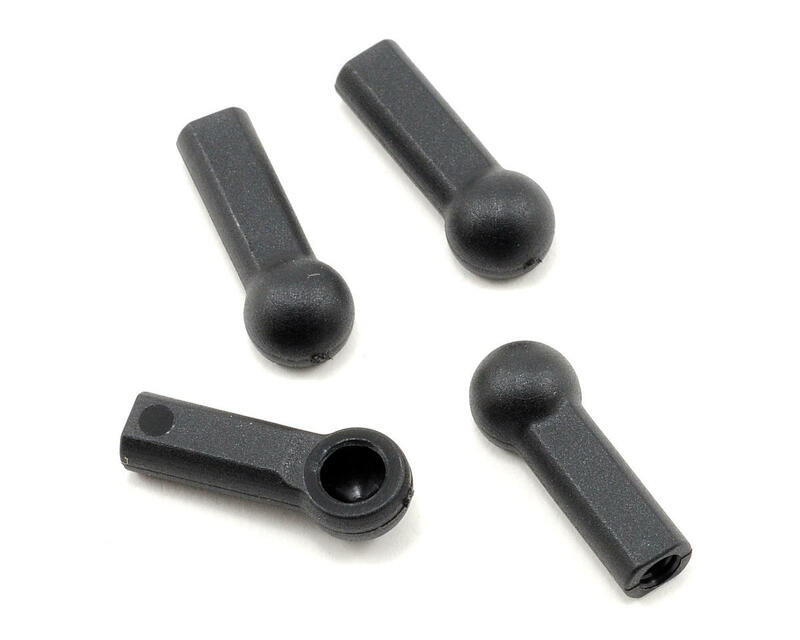 The closed ball joints must be used with ball ends #302653, #302654 or #302655.